As part of your physiotherapy assessment and treatment, a Chartered Physiotherapist will assess your posture and the impact it could be having on your symptoms. Posture plays an important role in all musculoskeletal conditions and can contribute towards the symptoms experienced and may even be the reason why your symptoms are not resolving. At your first appointment with one of our physiotherapists at Lilliput Health, you will be assessed in a range of positions to see how you naturally hold yourself and to determine whether you are in relative alignment. This is done mainly in sitting and standing. The key areas we are interested in are your spinal alignment, the natural shape or curve of the spine, the shoulder girdle and the pelvic girdle. In addition to the above methods our physiotherapists are able to provide appropriate advice on ways to adapt your work station and work practices to help prompt better postures. This can also include altering your car seat to specifically suit you, important if your day to day involves a lot of driving! Keeping on top of posture and ergonomics at work can lead to the reduced risk of developing a problem. 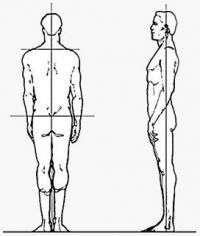 So even if you are pain free and not currently suffering from a problem, a postural assessment screen can help identify any potentially problematic areas. Many larger work providers have a designated HR or Occupational Health personnel who are trained to identify issues with work stations and it is a good idea to have a review with your workplace contact to maintain optimal working conditions. If you have any concerns you can always contact one of our Physiotherapy team at Lilliput Health to discuss your needs or if you are a current patient why not ask your practitioner on ways to improve your working environment. After all, a day spent hurting is a day not earning! Contact our experienced team today on 01202 725090 or alternatively email on info@lilliputhealth.co.uk.